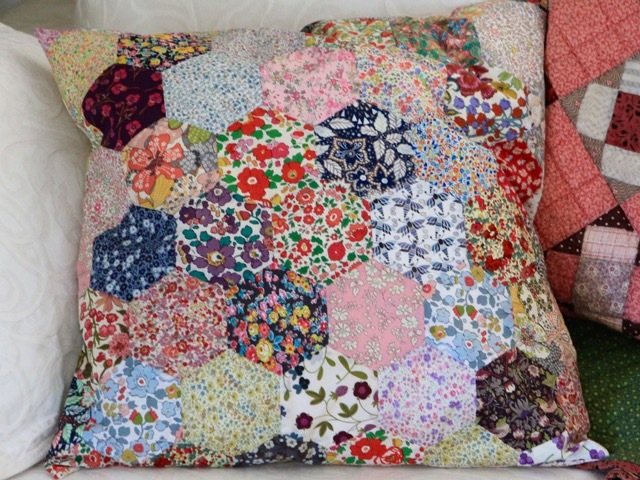 My hexagon pillow started last year here is at last finished! It measures 50 cm x 50 cm (19.5" x 19.5"). There are 52 hexagons assembled by hand. English paper piecing method. Tutorial here. I only used scraps from Liberty fabrics. I will post soon a tutorial for sewing a pillow case. Love Liberty - looks very vintage/shabby chic style - beautiful. It's wonderful! 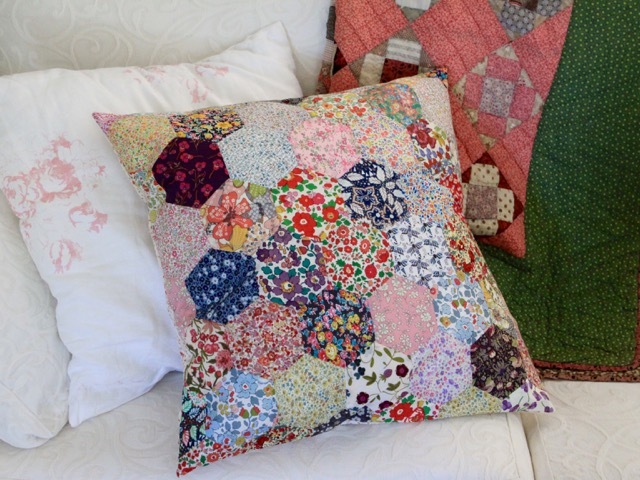 It looks perfect with your other quilts and pillows. I'm sure there are many happy memories in this pillow. So pretty, makes me want to curl up and snuggle for a nap. Tres jolie taie de coussin ! Les fleurs sont en accord avec la saison ! Gorgeous! You can't beat Liberty for pretty colors. It's lovely :-) There is never enough cushions! Yay - you can't beat Liberty print, it's just so pretty! Beautiful! The hexies show off the gorgeous prints so nicely!